An example application that provisions an identity in AWS IoT Core, allowing Asavie IoT Connect to establish a secure connection with AWS and to proxy the MQTT traffic on behalf of the selected device/SIM pairing. Instructions on how to provision Azure IoT Hub identity and credentials, used to proxy MQTT traffic to Azure. Instructions on how to provision AWS IoT Core identity and credentials, used to proxy MQTT traffic to AWS. Asavie IoT Connect gives developers the keys to build and manage their own private cellular network, that isolates cellular IoT devices from the harm of the public internet. 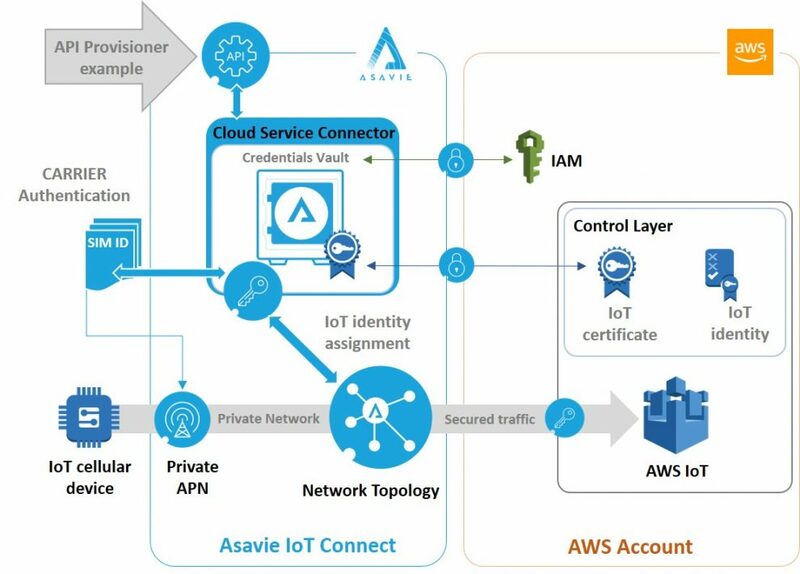 Developers can focus on their core applications knowing that Asavie IoT Connect’s network based security will scale with them from the constrained proof of concept device to industrial grade gateways. If you need help or have a question, click here and let us know..